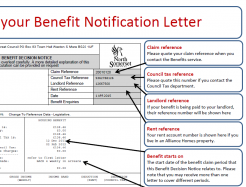 Do you find Housing Benefit letters confusing? Understanding your letters about Housing Benefit can be difficult. Working with Advice North Somerset, North Somerset Council have made a guide to help you understand letters about how your Housing Benefit has been calculated. It’s important to check the details on your Housing Benefit letter and let the Council know if any details are incorrect or if your circumstances have changed. Use the new Housing Benefit guide letter to help you understand your letter. If you are looking for it on the Council’s website, it appears on the Council Tax and Benefits Top tasks and FAQs page. Need advice about Housing Benefit? Read our blog on where to get advice about a Housing Benefit issue.